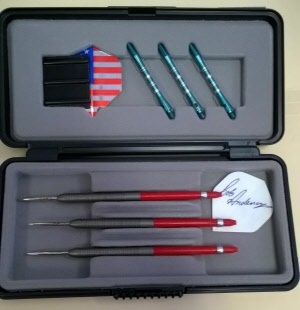 We have more 90% Power Point darts in stock that are NOT shown. Please email us or call if you are looking for a different barrel weight on the Power Point darts. 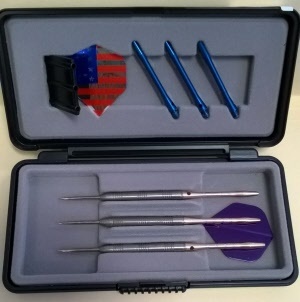 When "The Viking" goes to war, he takes Winmau hand-crafted tungsten darts into battle. Bob Anderson is a retired professional darts player and former World Champion. Designed by "The King of Bling” himself, these 85% tungsten darts with exceptional grip are machined to Winmau's market-leading standards. Your Boston Bruins team spirit burns as bright as Neon. 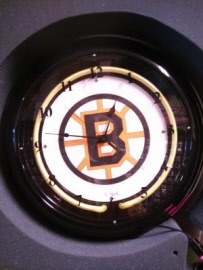 Show off your fanaticism with a wall clock that stands out as much as your team! These darts are the slimmest darts available on the market. Famed for his superb natural ability and film star looks and known on the circuit as “Ozzy”, Colin Osborne has had a superb success on the PDC Tour since turning professional in 2007. "The Dazzler" is always on the hunt to claim the major title he deserves.